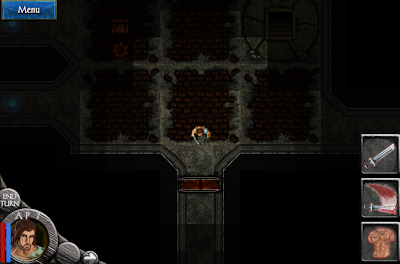 In the last few days of Heroes of Steel development, we've layered in a dungeon lighting system. 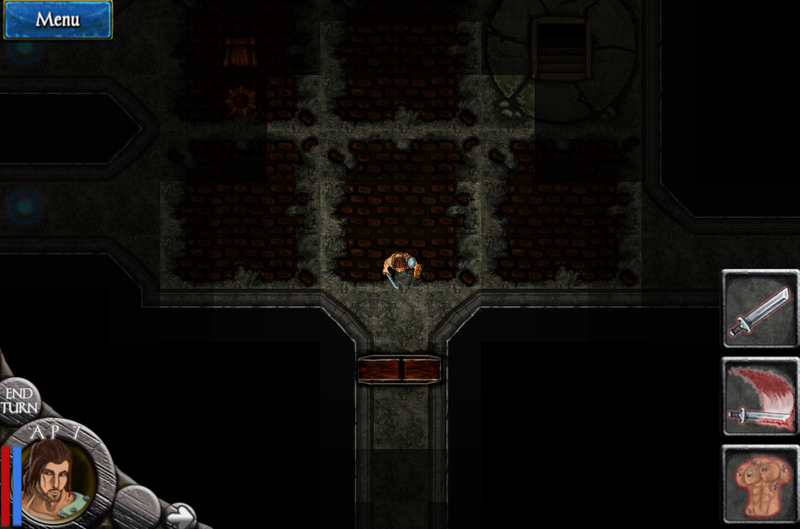 In the underdeep of Steel, there is an unexplained ambient gray light that hangs morosely in the endless sprawling dungeons and caverns. Well, now the prototype game has that gloom hanging around your characters at every step. It's pretty cloying, but its also pretty smart and helps to really focus everything visually around you. It's not done, but we've got a very good working prototype. 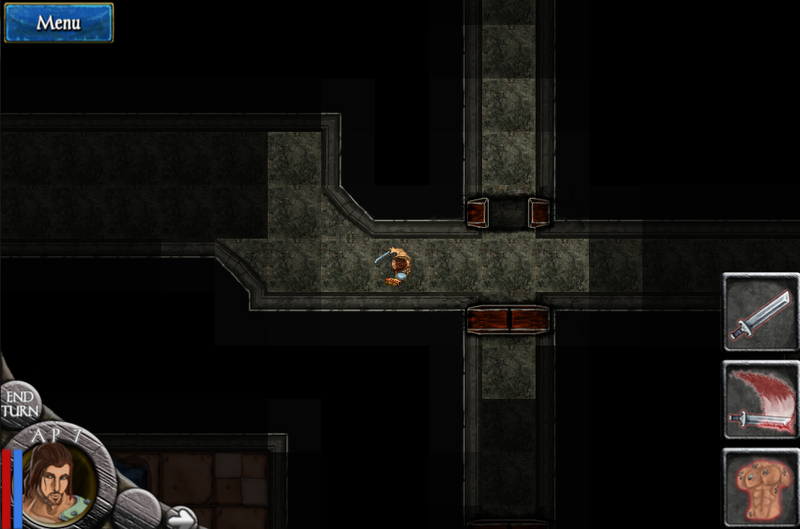 Here's your Outlander standing at a junction with a doorway. He's light around him, but the walls and the door soak up his sight very effectively. A little farther south, the Outlander has passed through the door and come to another junction. His sight range is ray based and so allows him to only see so far. around corners and down bent hallways. 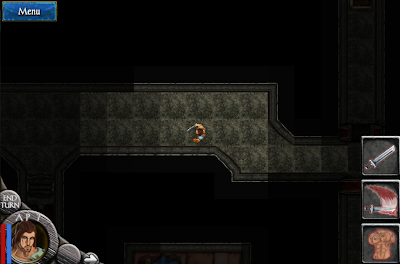 Just around the next bend, the Outlander is in the open hallway again and has his full sight range displayed. Overall, we're still saying "By the Faithful, its dark down here!" 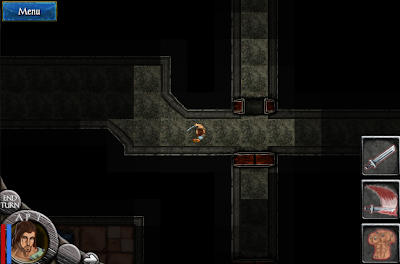 and toying with the range of sight, but the dungeon lighting system is having the effect we want. The darkness is closed in tight around you and your heroes, and at any moment a threat could come barreling out against you! You can feel the tension!